Employees and Students of Abilene Christian University are encouraged to upload their unique and peer reviewed content to DC@ACU. You will need to Create a New Account by clicking on the “My Account” tab, in the upper-left menu – just click here to go to the page. 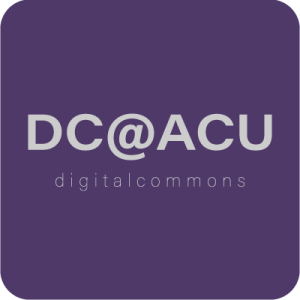 After setting up your DC@ACU account, you can click on the “Submit Research” link under the “Author Corner” to the left, select your College, Department, or Degree Program, and then follow the directions. To learn more about Open Access and Institutional Repositories, Publishing, and Scholarly Communication, the Changing Role of Libraries, Copyright, Permissions, and Author’s Rights, please visit the BePress | Digital Commons IR research page.